We have begun a campaign to help our member libraries of all sizes and types (academic, public, school, and special) tell their stories and articulate their value to stakeholders more effectively. This kind of assistance was requested by many libraries during our recent strategic planning process. As a part of this campaign, the Chicago marketing firm Imagination has created a short video as a pro bono project for us. 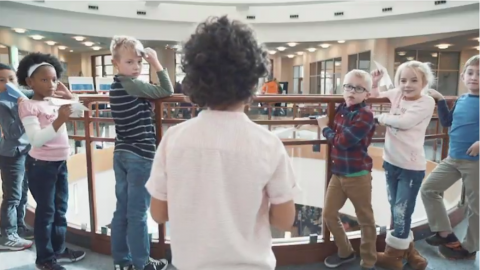 Dreams Take Flight at Your Local Library portrays children discovering the library and all it has to offer, and it features the library's important role in STEM education. You may recognize the Gail Borden Public Library in Elgin as the location where the action takes place. The video is available in several lengths and in two languages, English and Spanish. Links to all versions are listed below. You're encouraged to post the videos to your library websites and social media accounts. We'll be providing additional suggestions for using the videos as our campaign progresses. If you have questions about these videos or how your library might use them, please contact communications@railslibraries.info or use the Comment area below. Note: February 13 - Videos updated with RAILS branding at the end.